While searching my fabric stash for a fabric I could use to make the jacket based on Marfy 3350 pattern I came across these two ones. The blue/white fabric is loose woven wool bland. This brownish one is linen bland. It is more stiff than the above one. 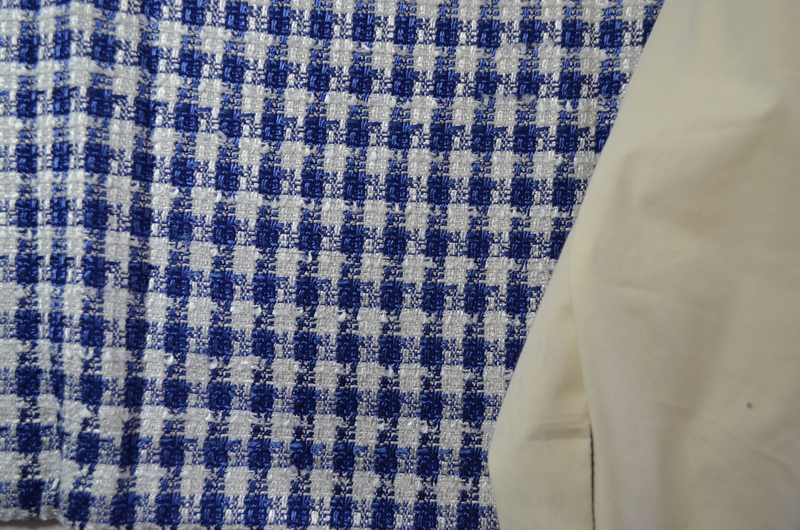 Looking at the qualities and properties of both fabrics I think I will go for the blue/white one. 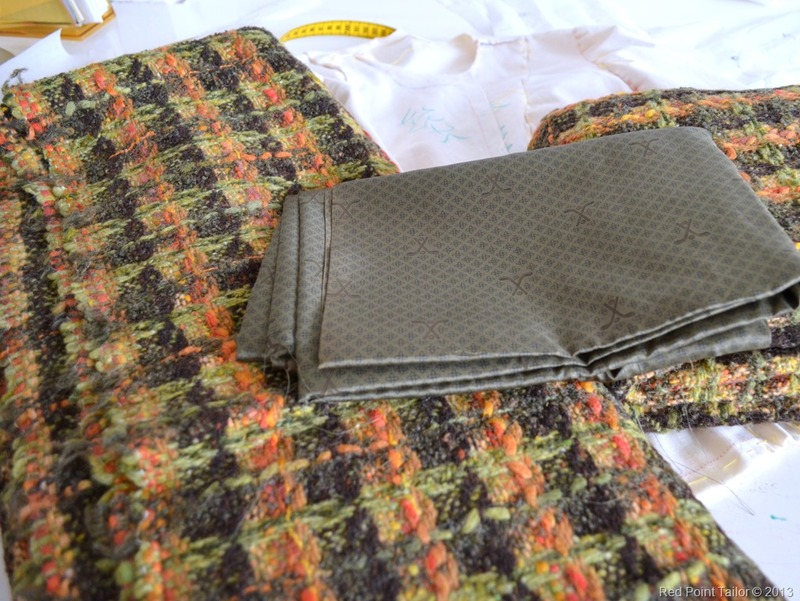 It is softer and looking at my wardrobe – I have much more combination possibilities. But everything depends on the amount of fabric – I have to check if I have enough of this blue/white fabric to make it the way I want. The brownish one will become either a dress or jacket/skirt combination. 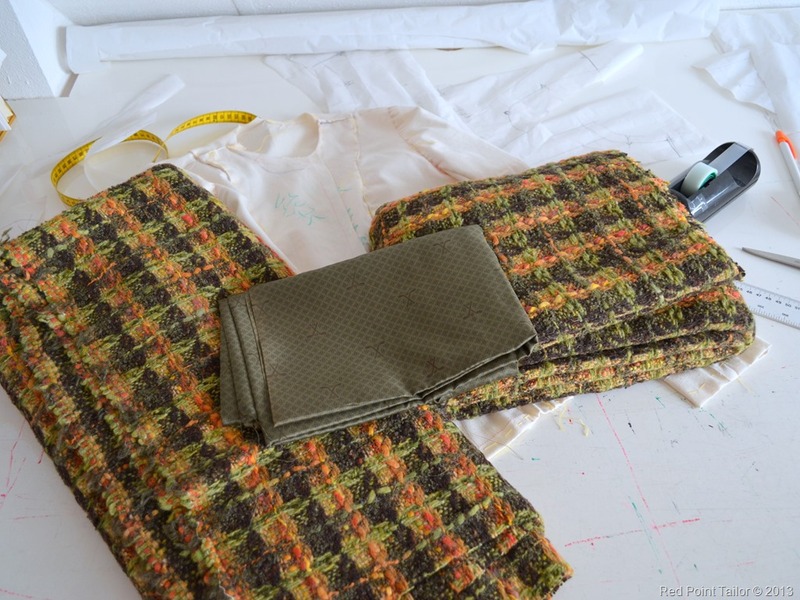 Meanwhile the book Couture Sewing: The Couture Skirt: more sewing secrets from a Chanel collector by Claire Shaeffer has arrived. It went so fast! Something is telling me that this will be my next project … soon. Which one would you advice? Vintage Vogue V1023 – checked! 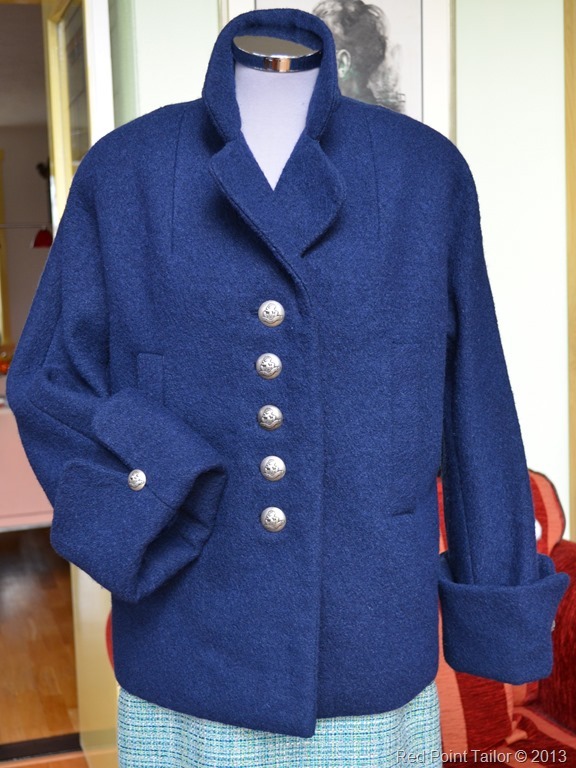 I have finished the Vogue Jacket V1023 before I went to my mother and I was planning to wear it. However while putting in on Wednesday early morning I have noticed something was wrong. 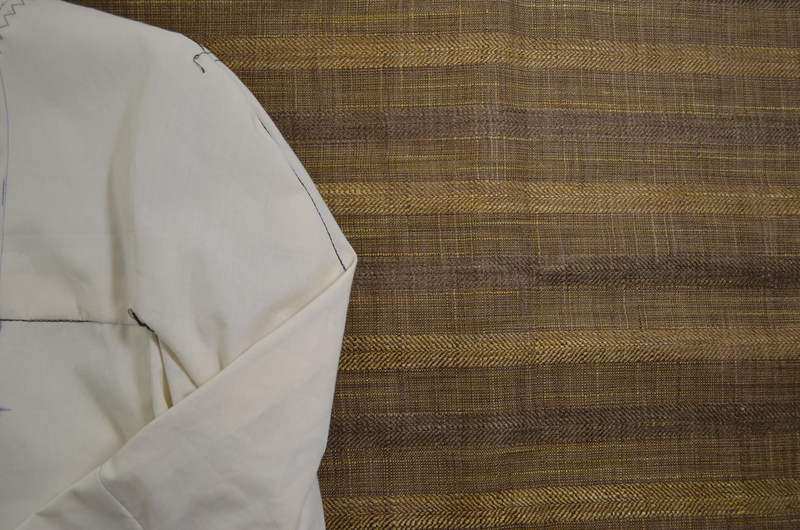 Well, I tuned the lining in one of the sleeves – a little. Oooops! First thing I have done the next day being back home – I have fixed the sleeve and now I am ready for warmer weather. 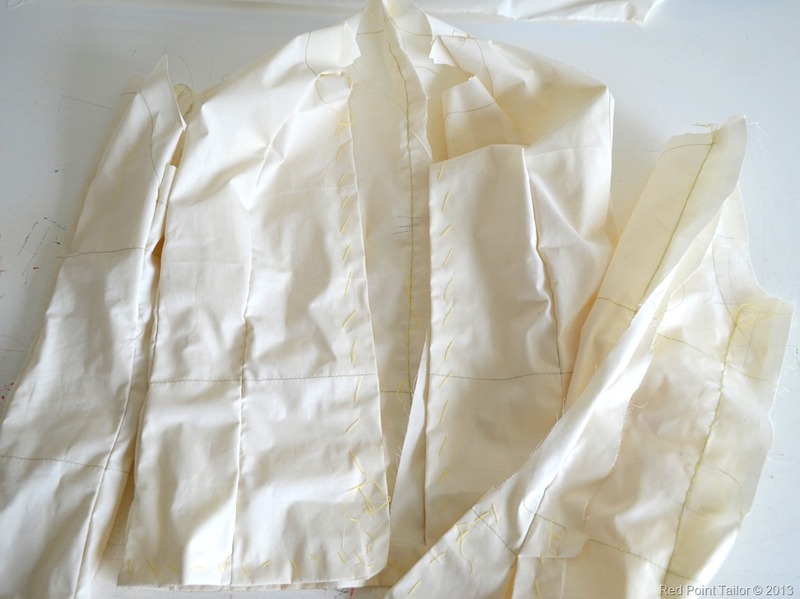 Except making the sleeves 3 cm longer the rest of the pattern is unchanged. I will take pictures wearing it but first short presentation on my dress form. On Wednesday I went to my mother as she was schedule to have a surgery on Thursday. She was admitted to a hospital however she was send home few hours later. Well, it appeared she was taking medicines which made impossible to provide surgery – good communication and coordination between doctors. Being almost at my mother place – when I heard this news – I decided to spend few days with her. It was closer to my mother then going back home. 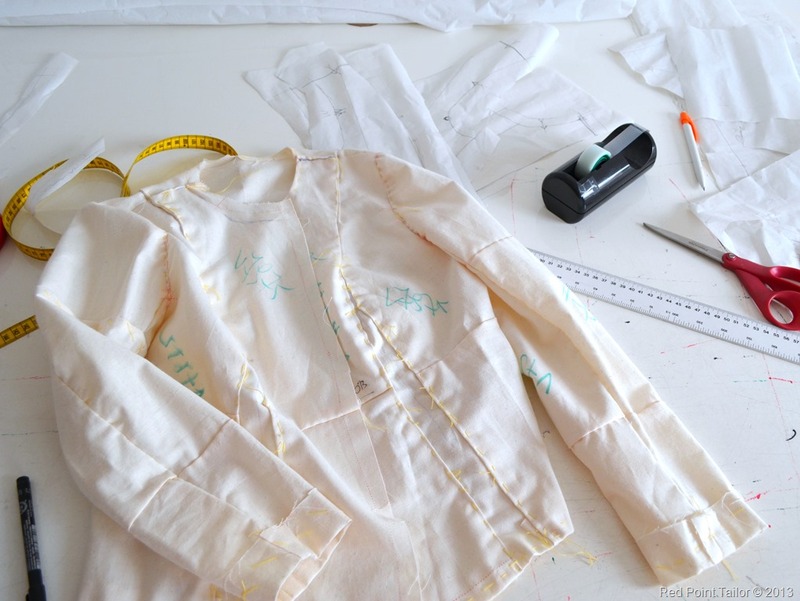 I was only a little sorry I did not take with me the jacket I started to work on. Next week on Wednesday I will go again to Poland.